Cross-border mergers and acquisitions (M&A) can be one of the most intense and chaotic periods a company will ever experience. Finally, mindful executives have a practical guide to execute mergers and acquisitions in the reality of today’s diverse global economy—Cross-Border Mergers and Acquisitions. 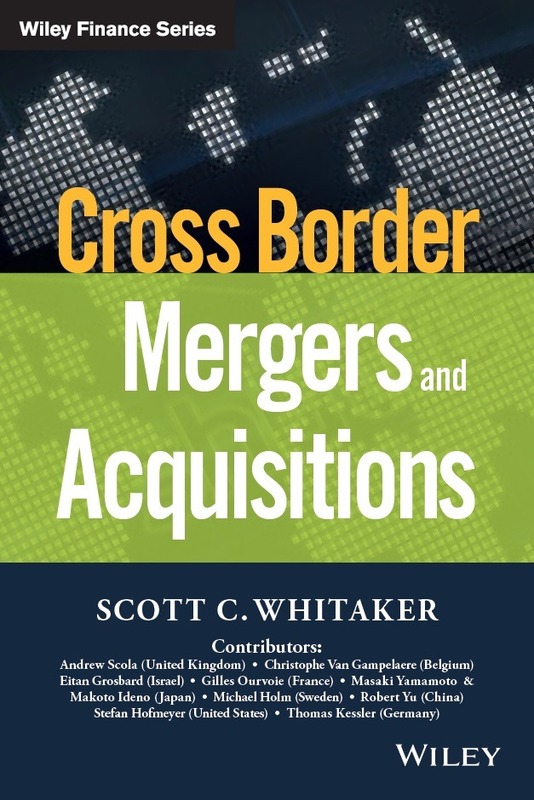 In this anticipated follow-up to Mergers and Acquisitions Integration Handbook, distinguished M&A expert Scott Whitaker delivers his popular brand of solid, actionable guidance to the complex process of cross-border M&A. Scott brings together ten leading experts representing the nine countries where the majority of global M&A activity occurs, who have collectively managed several hundred M&A transactions across dozens of industries. The expert contributors examine mission-critical topics, such as cross-border strategy & deal planning, culture & leadership alignment, integration planning and execution, and unique cross-border M&A transaction scenarios including carve-outs and divestitures. This part provides some insights into the overall dynamics of the global M&A environment, along with some perspectives on region- and country-specific trends and nuances. Chapter 1, “Cross-Border Deal Evolution and Rationale,” presents an overview of the evolution and rationale of cross-border deals, along with some general information on the overall M&A market—sizing of the current market, international development, existence of cycles, determinants of the M&A waves as an introduction to cross-border M&A evolution, and high-level specificities. Chapter 2, “Cross-Border M&A Strategy and Deal Planning Essentials,” explores decision-making and strategic process approaches for managing cross-border integration activity. View an extract from this chapter. 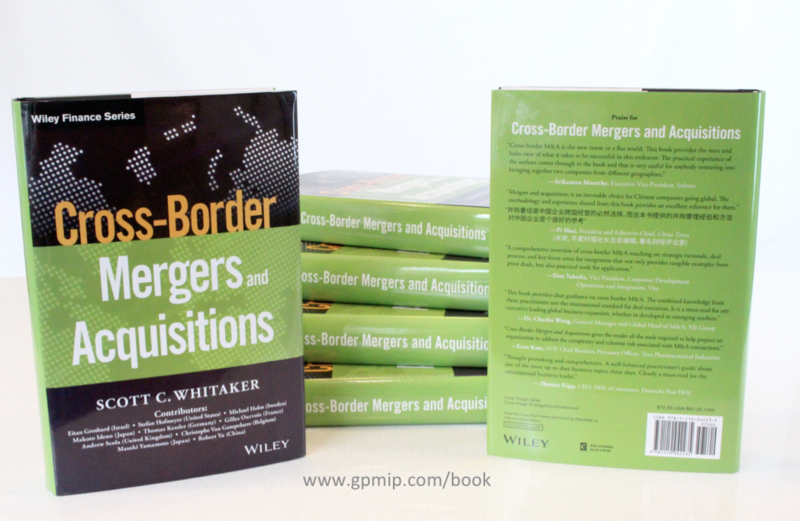 Chapter 3, “Legal, Financial, Social, and Political Interdependencies with Cross-Border Integration,” introduces the key legal, financial, social, and political influences on, and implications of, cross-border mergers, acquisitions, and divestitures. It puts cross-border M&A programs in context within and between the jurisdictions and societies where the companies operate. View an extract from this chapter. Chapter 4, “Trends and Leading Practices in Global M&A,” introduces important concepts related to strategic reasoning for doing the deal, along with the key phases and steps in the M&A life cycle. This chapter includes a step-by-step process that enables you to find and review potential targets for their fit, and introduces important issues related to cross-border due diligence, along with options and strategies for mitigating the execution risk in cross-border deals. Chapter 5, “Cross-Border M&A: Region- and Country-Specific Trends and Deal Planning Tips,” delves into the countries and industries that dominate pre-deal M&A and what considerations are important when exploring cross-border opportunities. This part includes several chapters that explore how leadership and culture influence cross-border M&A. Chapter 6, “Leading during Cross-Border M&A,” attempts to outline specific activities and practices leaders can take during an M&A event to help ensure transaction success and lay the foundation to make integration a core competency of their organizations. View an extract from this chapter. Chapter 7, “The Role of Culture in Cross-Border M&A,” explains the importance of culture in a merger or integration environment, and shows how to create awareness of cultural elements in both the deal teams and integration teams. The importance of company values and local language in turning culture into a success driver for your deal is also explored. Chapter 8, “Managing National Reactions and Sovereignty Issues,” explores the “local” side of cross-border M&A and how region- and country-specific nuances such as regulatory constraints, sensitivities of local populations, unions, and many other areas can impact transactions. This part includes an abundance of detail around the more tactical elements of cross-border integration, along with how country-specific nuances can impact planning and execution details. Chapter 9, “Managing Pre-PMI Due Diligence,” presents a methodical approach for cross-border due diligence based on lessons learned from hands-on project engagements, including a practical review of the due diligence process, and ingredients and tools to be applied in order to improve the quality of due diligence deliverables. Chapter 10, “Ramping Up an Integration Management Office and Day One in Cross-Border Deals,” provides a comprehensive understanding of the integration management office and describes activity to set up an IMO and to execute a successful Day One. Chapter 11, “Integration Decision Making and Process Strategy in Cross-Border Deals,” reviews the important factors that drive cross-border M&A success, including leadership styles and related decision-making and process development and change approaches. Chapter 12, “Post-Merger Integration Process, Methodologies, and Tools,” explores a multitude of integration planning and execution essentials across all phases of the M&A life cycle. View an extract from this chapter. Chapter 13, “Managing Post-Merger Integration Globally,” outlines various approaches for managing a PMI process in a cross-border scenario. This chapter also explores PMI governance concepts, managerial structure, roles and responsibilities, meeting management routines, and communications. Chapter 14, “Country-Specific Trends and Tips for Integration Planning,” outlines proven approaches for factoring cultures and work styles in cross-border integrations. The chapter also includes cultural tips and hints for the top three M&A countries along with key integration topics by region. Chapter 15, “M&A and Post-Merger Integration Considerations for China and Japan,” reviews the current trends and issues involving both inbound investment into China and Japan by foreign companies and outbound investment from China and Japan. It describes the motivations behind the inbound and outbound investments, and points out the critical issues that have significant impact on the success or failure of M&A projects in these countries. Chapter 16, “Cross-Border Synergy Program Management,” explores what to look for in cross-border deal synergies, and how to validate them during pre-deal planning. The chapter also explores how to structure a synergy program and track synergies until realized. This brief part provides insight into some unique transaction scenarios and situations. Chapter 17, “Managing Carve-Outs and Transition Service Agreements,” describes what divestitures are, how they differ from integrations, and what the end state of a carve-out can look like. It goes on to describe the key contract associated with carve-outs, the transition service agreement, how it is structured, managed, and exited successfully. Chapter 18, “Joint Ventures,” explores some additional considerations on how to plan, structure, and execute joint venture agreements. The topics chosen are intended to cover the most common planning- and execution-related elements of M&A transactions. I have also attempted to include a range of perspectives on region- and country-specific considerations to help readers appreciate the complexities associated with cross-border transactions. — Janet Phillips, Senior Director, M&A Integration, Symantec, Inc.